Schuco Piccolo Volkswagen Bus Sopra Scale Model. Issued in October 1999, this model has been sold out at the factory. 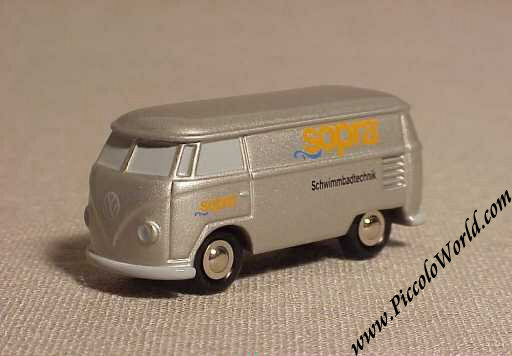 It was made for Sopra as a promotional model. Sopra deals with Swimming Pool Equipment. 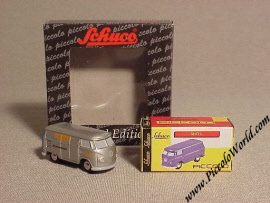 It was a limited edition of only 2,500 pcs.